T.R. Hughes builds new homes in St. Charles, O'Fallon, St. Peters, St. Paul, MO and surrounding St. Charles County, Missouri areas. T.R. Hughes is your new home builder! Since the early 1990's, when Tom Hughes started his new home building company in St. Charles, T.R. Hughes has been one of the top home builders in the St. Louis, Missouri area, and especially in St. Charles. Hundreds of satisfied families live in T.R. 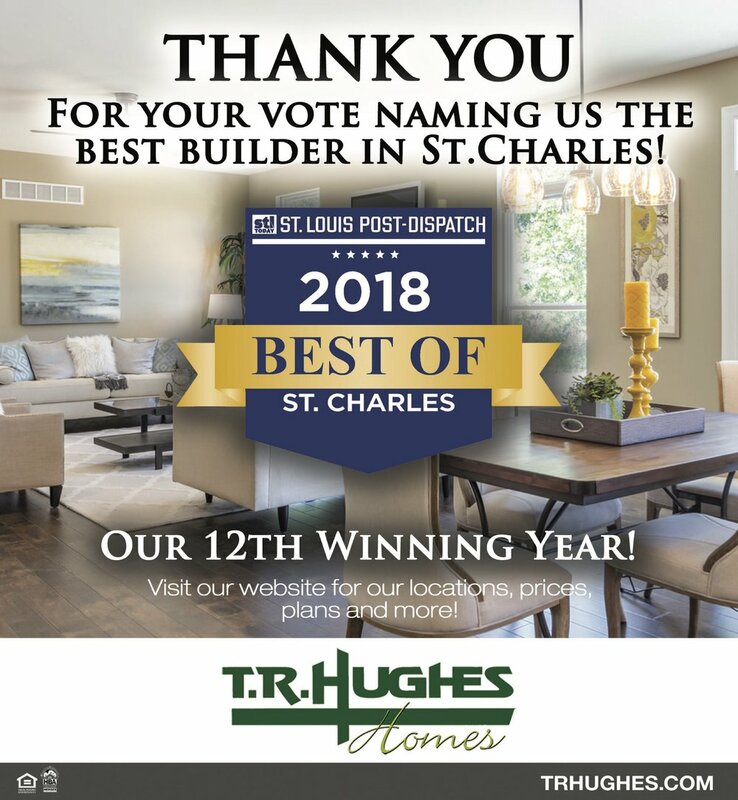 Hughes homes and the company was recently voted the #1 home builder in St. Charles county for the 12th time so if you're looking for new homes in St. Louis or St. Charles County, we invite you to come visit our communities and see for yourself why a T.R. 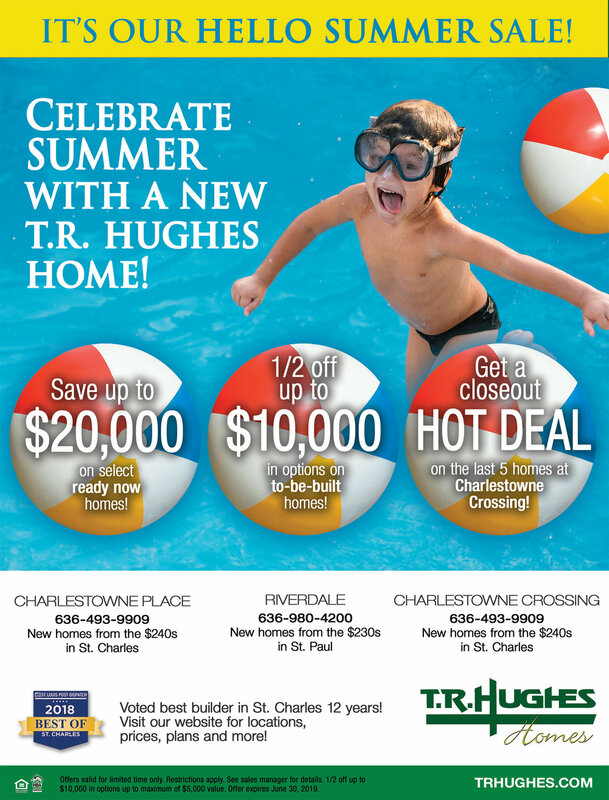 Hughes home is your best value! New Homes from the $200's in St. Paul, Missouri located off Hwy 79 just 7 minutes north of I-70. Open Now! New Homes from the $240's in St. Charles, Missouri located near New Town Blvd. !